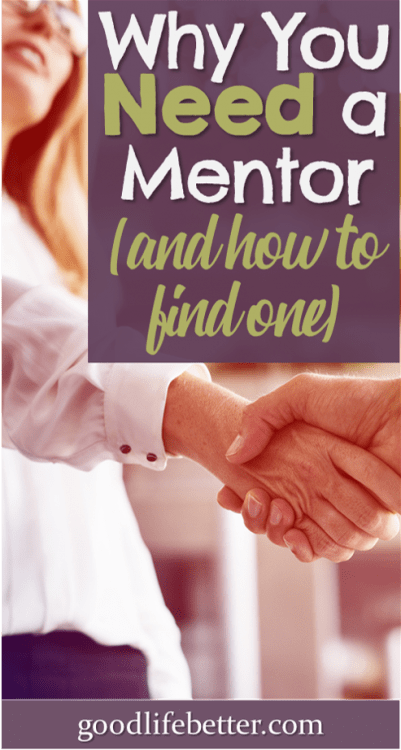 Finding a Mentor and Being a Mentee | Good Life. Better. I was first introduced to the idea of having a mentor in graduate school. My program told me it was “very important” but the specifics on how to find one, what made for a good one, what you should discuss with them, etc., were vague. I did my best, though, searching out opportunities to connect with more senior women in my field. Fast forward 10+ years and people are now telling me I’m their mentor. Crazy, right? 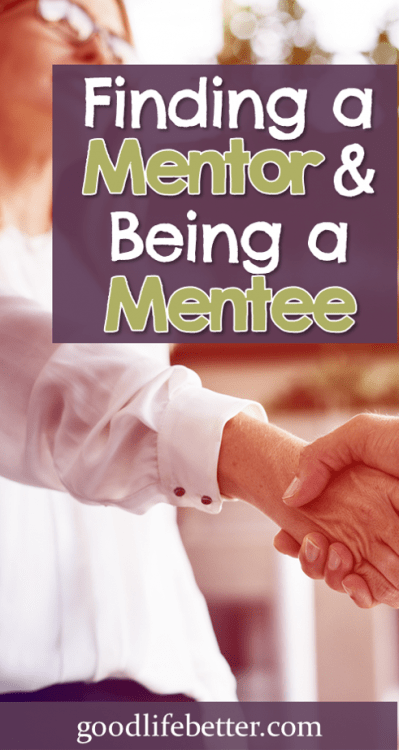 Recently, I was thinking back over my experiences of being both a mentee and a mentor. It made me wonder: why were some of these relationships great while others were not so great? Here’s what I concluded. With a little hard work, having a mentor is beneficial most of the time. Why? Because we aren’t as good at objectively evaluating our jobs and our performance as we think we are. A good mentor will help us figure out what we know and what we don’t know, and work with us to identify the steps we can take to fill those gaps. She will show us the ropes and her advice can propel us forward in our career faster than we can do so on our own. Unfortunately, not all mentoring relationships are created equal. I have participated in formal mentoring programs as both a mentor and a mentee. Based on my experience, programs organized by professional and civic organizations are more useful than ones organized by academic programs or my employer. My guess is this is related to what motivates participants to join the program. For example, in law school, there was a slip of paper tucked into my welcome packet telling me who my mentor was. What I don’t know is if anyone ever told her as I never got a single communication from her about it, or follow-up to the emails I sent her. As the head librarian, I got to know her over the four years it took me to complete the program so I know she was a nice person. What I came to realize was that the mentoring program was not a priority for her, even if it might have been one for the school. I had a better experience with a mentoring program organized by my state’s association of women lawyers. First, the rigorous application process ensured that the people selected were actually people who wanted to be there. Second, the program’s structure provided value for both mentors and mentees. It consisted of one, four-hour session a month for a year with guest mentors providing insight into everything from working at a large firm to deposing a witness. In between sessions we had time to speak with the other participants and the mentors and hosts. The mentors were able to share their knowledge in a way that wasn’t a huge drain on their time while the mentees met lawyers representing many different types of practices and with wide-ranging career paths. A true win-win. By far, my most successful mentor/mentee relationships have been ones that formed more naturally over time. Several of my mentors are former supervisors. This is fortunate for several reasons. First, they have spent a lot of time with me and know how I approach tasks, my work ethic, my values, my strengths, etc. Just as important, I know them—the experiences that have made them who they are, and any blind spots they might have that could color their advice. 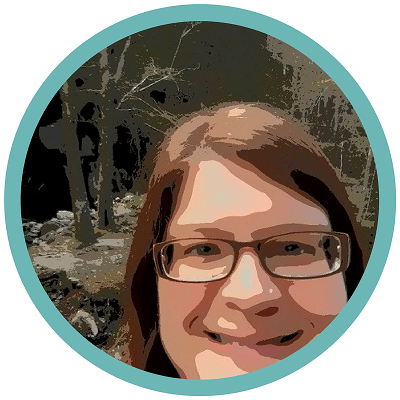 One former supervisor in particular has been in my head a lot while building this blog. As I mentioned here, I am a slow writer which means blogging takes up a lot of my free time. The job I had when I worked for this former supervisor also required me to write a lot and she used to say to me when I was struggling that it was “time to shine the sh*t” as a (more colorful) way to remind me that done is better than perfect. When I was building my side hustle, I developed a relationship with another mentor after I hired her so I could shadow her. Yep, you read that right: I paid her. After meeting her several times at various events, and seeing how she was respected by others in her field, I asked her if I could hire her to walk me through her processes. Her time is valuable and she deserved to be compensated. If it wasn’t, I probably wouldn’t have wanted her to mentor me. My hiring her communicated to her that I was serious and that I respected her. In the years since, she has continued to advise me (for free) and I have continued to listen to and take her advice. Sometimes, an on-going relationship isn’t necessary, especially if there is a specific question you are trying to figure out. This was true for me when I was trying to decide what to do after I graduated law school. That year was one of the worst years—if not the worst—for the legal job market in decades. I had a job offer that, while prestigious, paid less than the job I had had while in school (which I generally liked), was only guaranteed for two years, and was in a particular area of law I wasn’t sure I would end up loving. What to do? My friends and family kept telling me to do what made me happy (which was so not helpful!). Desperate, I searched for career counselors on the American Bar Association website and found the name of someone who offered a free 30-minute consultation. Talking to her was exactly what I needed. If I hadn’t, I may have ended up making the same decision but I don’t think I would have been as certain that it was the right decision for me if I hadn’t sought out her advice. Finding a mentor isn’t easy. The worst way is to approach someone at a networking event or to email them out of the blue and ask them to be your mentor. Why? Because mentoring should benefit both parties and since they have no idea who you are, everything about this approach screams “this relationship will be all about what you can do for me.” Shockingly, not too many people will want to sign up for that. A better way is to be patient and identify opportunities to provide value to them (and then provide that value with no strings attached). This will get you noticed so when you take the next step and ask if they would be willing to meet you for coffee or lunch, they are going to be more inclined to do so. 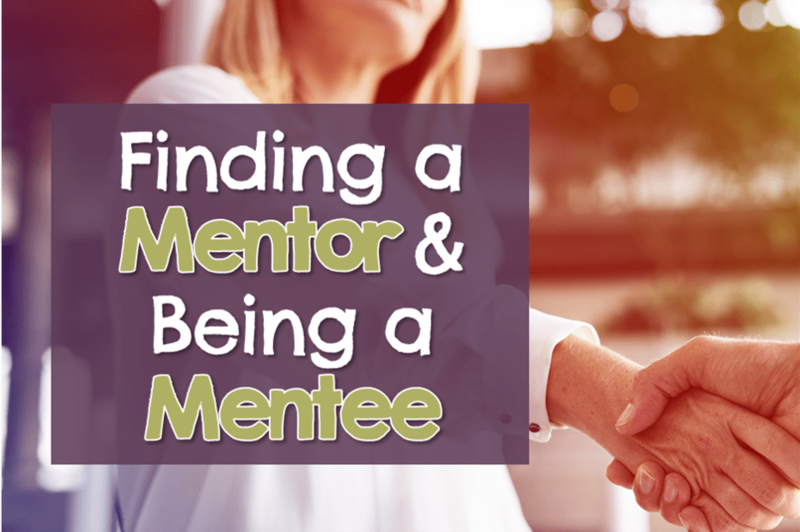 While being a good mentee may be easier than actually finding a mentor, it is still a lot of work. Tasks like setting up meeting, following up on emails, and finding answers to questions fall to the junior person in the relationship. If you sit back and wait for the mentor to reach out to you, you will likely be waiting a long time. Expecting the mentor to do your job for you or to get you a promotion. Not realizing that you are a burden to the mentor and not showing appreciation for the time they spend with you. Thinking that you are smarter than they are and can manipulate them without their knowing it (they will see through this). Not trusting your gut. Hopefully, your mentor will have your best interests at heart but if something feels off about their advice, get a second opinion. In her book Own It (which I review here), Sallie Krawcheck shares a story about a past mentor who said all the right things to her face only to undermine her to her bosses. This can happen. What is Your Experience with Being a Mentee or a Mentor? How have mentors helped you navigate your career? If you have mentored others, what has been the best aspects of these relationships? The worst? Let me know in the comment section below! I’ve never had any sort of mentorship you’ve described here outside of college / direct bosses. You’re making me consider what I can do to set something like this up in the future. I can definitely see the benefits. I definitely recommend finding a mentor–your friends are going to commiserate with you but a mentor will help you see both sides of a situation and give you the good and the bad. I hear a lot about masterminds these days which sound like they have a mentoring component but with the model I am taking about here, the person you are working with is further a long in their career. Their perspective can really be invaluable. Thank you for the comment! Thank you for this article. I have been thinking about trying to find a Mentor. This article was very helpful and insightful. Thank you—glad it was helpful! Yes that’s right you need a mentor because they can provide unbiased advice when needed. With their experience about certain situations, they might see in you the potential which you might not have seen in yourself yet. Thanks a lot for this informative article.Going to save this for sure. Hi, I just got matched with a mentor on a South African Mentorship platform, also my very first time. I’ve never had a mentor, so I’m both excited and nervous about what to expect. I am contemplating what to say to him to prepare him for our call scheduled on Wednesday. How do I go about and what do I say to him? Congratulations! These are great questions. I can’t know for certain as mentoring programs can vary but a good place to start might be to thank him for agreeing to be your mentor and providing a brief explanation as to why you applied and what you hope to learn from him and through the program. You could then ask him why he is involved and what his expectations of you are. While he is speaking, really listen to his responses. They can guide you as to what comes next. Good luck!